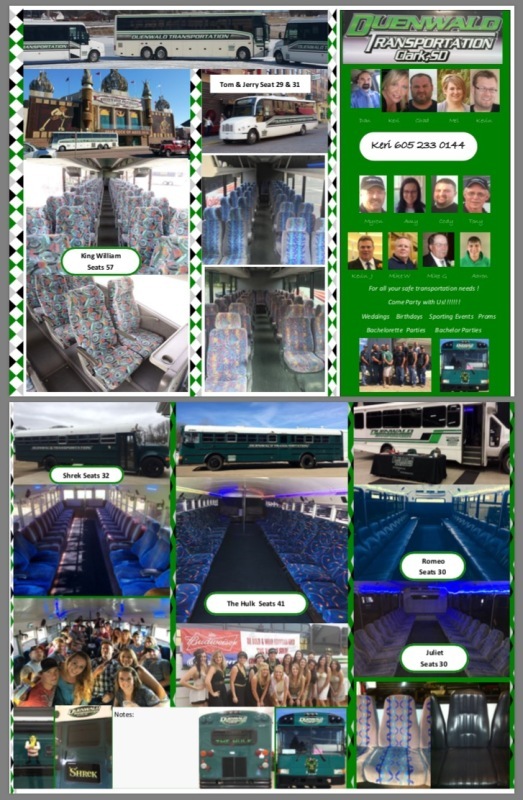 We have Five buses that range in size from 21 to 32 passengers. All buses have aux hookups to play your favorite music, disco laser lighting and perimeter seating. 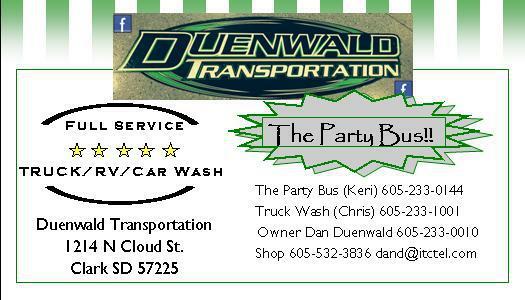 Full Service Wash bay, Semi, SUV,Car, Etc. All our drivers go through background checks, pass DOT physicals every two years, and belong to a Drug and Alcohol testing Program. We provide Monthly safety training meetings and a two hour in-service every year. 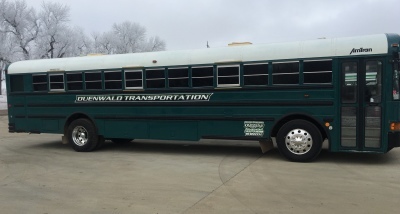 Our mechanics are certified to inspect school buses and all our out of state traveling buses are Level 1 inspected by the Motor Carrier Division of the SD highway patrol. Our goal is to provide a safe and cost effictive way to transport our customers to and from there destination each and every time.